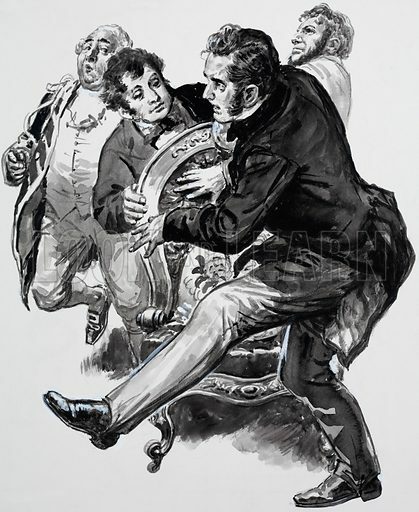 Unidentified scene with a skuffle over a gilt chair between Victorian gentlemen as a footman looks on. Original artwork. Available worldwide for immediate download up to 3,617 x 4,423 pixels.